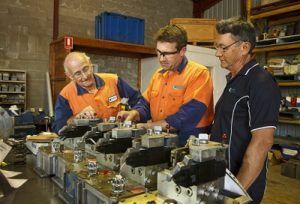 Pacific Hydraulics has been providing the highest quality hydraulic products, service and repair to the Australian mining, industrial and mobile hydraulics industries for over 25 years. We are proud to be 100% Australian owned and have a network of branches fully equipped and staffed by our expert technicians to assist you with all your hydraulic needs. 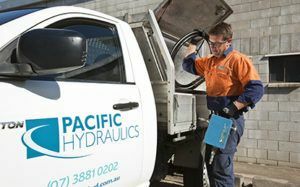 Formed in 1990, Pacific Hydraulics has grown into one of the most significant Australian hydraulic sales and service providers. From humble beginnings in Brisbane Queensland, our success and dedication to supporting Australian industries has allowed us to expand our network of branches, offering hydraulic products and services to customers across the country, from Brisbane to Perth. We are Australia’s specialists for all hydrostatic and mobile hydraulic products and servicing. This expertise means that you can trust Pacific Hydraulics to supply, service and repair your hydrostatic and mobile hydraulic components to the highest standards of quality, reliability and to short deadlines. 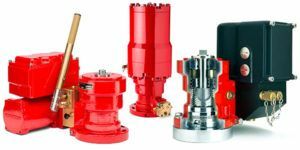 As the largest Danfoss hydraulic sales and service centre in Australia, we are able to supply Danfoss’ industry leading hydraulic components at the most competitive prices. Our premier status extends to servicing and repairs on all Danfoss hydraulic components, ensuring that Danfoss components are repaired to stringent quality standards and procedures. This helps to keep your Danfoss hydraulic components performing at their peak for longer, so that you can continue to benefit from Danfoss’ reputation for performance and reliability. Our size and industry partnerships ensure that we can provide our customers with a wide range of hydraulic products and spares, and our experienced team stands ready to assist our customers with selecting the correct product for your specifications, promptly, reliably, and at the best price. We supply components and spares such as hydraulic pumps, motors, cylinders and power units from the world’s leading hydraulic brands like Danfoss, Bosch Rexroth, SPX, Ryco Hydraulics and more. Our branches are equipped to handle all your hydraulic service and repair requirements, with state of the art testing equipment and facilities to quickly diagnose system faults, and provide a solution to get your machinery back up and running in the shortest possible time. Our branch network means that we can often source any required components for your repairs from another of our branches, without having to wait for overseas shipping. Saving you time and money, and reducing your operational downtime. We can also come to you, 24/7. Our onsite field technicians come to you with the equipment and skills to begin diagnosing issues, and initiate the repair process straight away. Pacific Hydraulics also offers preventative maintenance programs, ensuring that your plant or equipment is will maintained and helping to reduce long-term running costs and expensive down-time. Our engineering department has certified and experienced engineers, ready to design, optimise, build and commission your hydraulic system for your specifications, working environment and operational requirements. With rigorous analysis of fluid power requirements and working with your existing infrastructure if required, we can help you build to optimum conditions, and create the most efficient system to meet your performance requirements. 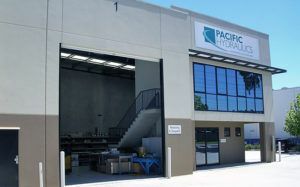 Pacific Hydraulics has several branches strategically located around the country, providing hydraulic services and products to Australian business in the agriculture, mining, manufacturing, construction, transportation and waste management industries. Find your closest Pacific Hydraulics branch here.